« Revisited – a 20 min movie about Frequent Flyer and why we do it…. 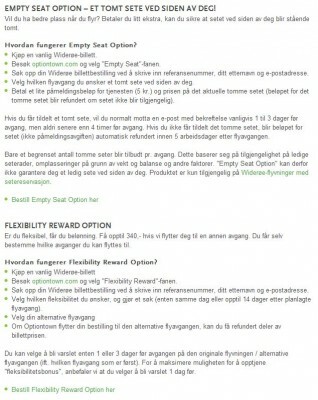 Widerøe is now starting up with cooperation with Optiontown on two new offerings. The first is Empty Seat Option and the other is the Flexibility Reward Option.